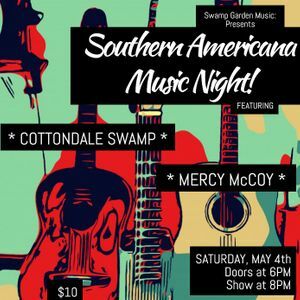 Cottondale Swamp and Mercy McCoy join forces for a night of original country, rock and Southern Americana! Together at everyone's favorite listening room in Saint Petersburg, FL - The Hideaway Cafe and Recording Studio. Doors at 6 PM, show at 8 PM.